For all your motor cleaning needs head on down to Styling Car Wash. We offer foam washes, full valets, motor on (with owners permission), air vents, Hand polishes, waxing and many many more. 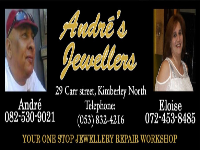 For all your jewellery repairs and personalized jewellry needs, go down to André Jewellers, the best Jewellry Repair Workshop in town. Broken jewellry gets repaired while you wait, creation of personalized jewellry, buys broken/gold jewelry, and many more. Whatsapp enqiries/quotes to Eloise. A coffee shop inspired by vintage diners. We offer a touch of something “Old-School” while you enjoy a Cappucino with your breakfast, a soda with your lunch or a quick snack before you have to run. A coffee shop and snack bar with something for everyone's taste and craving. 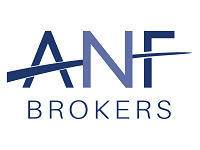 We believe that financial planning is about building a relationship with each of our clients, getting to know their individual needs and ensuring that their future and loved ones are protected. 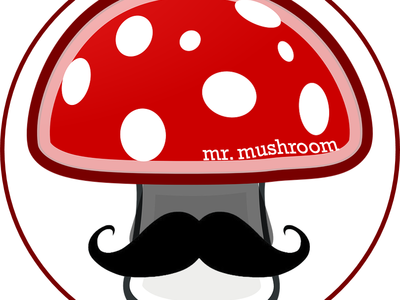 We sell arts, crafts, gifts, bakery-goods, baking supplies, frozen pastries, pies, dough, etc. We have the best biltong in Kimberley and as from November 2018 we serve gourmet single origin coffee and delicious home baked goods. Guesthouse, accommodation and small conferences. SA's favourite steakhouse. Bringing you great tasting burgers, legendary steaks and mouthwatering combos. 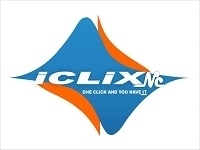 A butchery specializing in processed products. 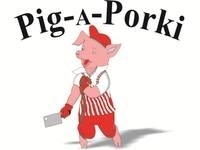 Supplying the local community and businesses with all kinds of meat products, please note that Pig a Porki is under new management. 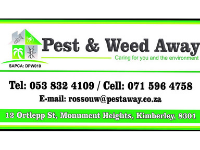 Pest Control & Weed Control - Local, Professional, Registered. We care for you and the environment. 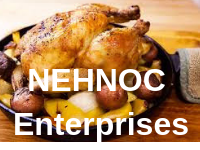 The best quality chicken at the best prices. NO brine added! 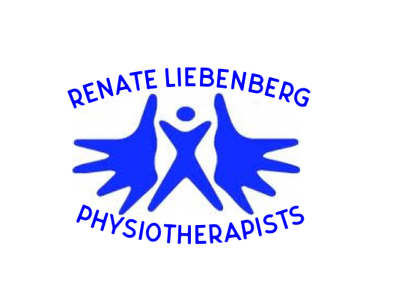 The dynamic physiotherapy practice is situated centrally and we pride ourselves in quality care. We treat a variety of conditions for example neck, back or any joint pains, sports injuries, stroke, physical disabilities and chest physio. Vetkoek and Roosterkoek with various fillings. Rice and curries (mince,chicken,beef). We also braai and offer beverages.